This is the simplest yet curry I’ve made – As you may see, i am getting a lot of fruits into my cooking and Mango is the King of the season reigning supreme, as I have noticed in many blogs now have very interesting mango creations. 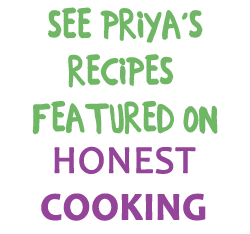 I have many exciting recipes I need to share with you – so many recipes, so little time!!! This is curry in a hurry week and I will focus on this alone today -A divinely tasty curry made in less than 20 min. Day 3 of blogging marathon. Wow Priya, I have never come across a ripe mango curry! Looks so colorful and yummy. creamy mango curry.love all ur clicks. A very easy and tasty mango curry… The dinner spread is wonderful. Makes me feel like asking, when are you inviting me for dinner.. This looks absolutely delicious. I love the sound of that creamy mango. Yummy inviting curry,love anything with mangoes,this is awesome..bookmarked. What a meal! I have never seen mango used like like that as big chunks in a curry. very new to me !! curry looks so tempting and very inviting !! Quite a different one …looks yummy. Mango curry looks delicious, i make them without adding any coriander seeds as they are overpowering for me. like the idea of mango pieces in the curry,normally I do it without them.love the look of this curry and what better choice than mango? Wow! This is so yummy! Great with rice! Too good Priya. I make chutney with raw mangoes which have softened but with the fruit mango is absolutely new ..shall surely give it a try this season! Beautiful. I love mango. I have just been drinking mango juice. love the colour of your curry..quick recipe too! Looks yum n love tht spread.. Sounds delicious and very like mambazha pulissery which I love having with rice. Curry looks colourful and delicious. it must have been very tangy. love the color. the whole platter looks so scrumptious. Whoa..what a wonderful curry..a welcome change from the regular ones and lovely idea to use the balance next day with noodles. Looking good Priya .. how have you been? Busy with marathon? Very quick and tempting curry, simply inviting..
What a delicious curry. I like the sweet and spice combo a lot! Looking fab, dear! this is pure awesomeness Very interesting use of mangoes. The combination with noodles looks super!! I personally a mango lover, never had and made this type of mango..Colour itself is attractive !!!! Wonderful recipe May I ask if you are using ripe soft mangoes or those firmer ones? Thank you! looks inviting & tangy curry!! Very interesting curry! I have used mangoes in dessert but not in a curry. Will have to give it a try soon. Never ever thought of such a combo…lovely! How do u get a picture of ur recipe posted on the dashboard? I dont get it for my posts. What a fantastic & delightful curry!! lovely curry! and ur spread looks awesome! Looks very yummy, nice combo. that's a yummy one … ur dinner combo luks aweome too…wow!! Never had mango in a curry before. Looks delicious! Recipe looks new to me.. would love to try this once.. This looks like something I would defently give a try. Love the flavours. girl, u r a bundle of talent and innovations…mango curry looks yum!